As you will by now have seen, the Yorkshire Viking has not been updated a while. I was firstly dispirited by the new laws in Norway that came into effect in 2014. Since then, however, many things have happened; the political world is scarcely recognizable today after the British vote to leave the EU. 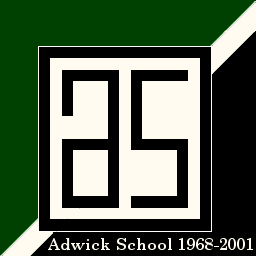 In terms of how that has realigned how I identify with myself, and my relationship to the place I grew up, it has ruled out reactivating a blog that proudly displayed the colours of Adwick School. I have indeed decided to restart Yorkshire Viking. However, the whole site will be updated. As for the logo, that looks like it will stay, even though that is based upon Adwick too. The reason is that that is something which I have created to stand for me. It is a derivative work of my own. Furthermore, although I see myself as utterly estranged from a community that has (as I see it) stabbed my grandparents’ generation and my own upbringing in the back, I cannot deny that I did come from it – and I see no sense in trying to erase that which denotes my origins in the logo. For this same reason, indeed, neither will the Yorkshire Viking Site disappear either. It will be archived – complete in its present form – and accessible from the revamped blog. That I write this on my old WordPress blog is something of a personal defeat. I had tried publicizing the matter on my Norwegian blog, but alas there has been very little response. However, I have not time to get myself feeling down over it. It is very important to get the word out over what is happening in Norway. From the 1st July, with few exceptions, Norway introduced a Law that both dis-empowers people with websites as well as bureaucratically telling them how they are going to design them. You cannot decide to ignore the new Law either. If you do, you will be prosecuted under the new discrimination Laws. Not only will you end up fined, but since you are breaking the Law you will presumably end up with a criminal record far more injurious than any financial penalty. I cannot overemphasize the sheer outrageousness of what Norway has done. Using the visually impaired as their pretext – and a cynical excuse indeed this is – the authorities now lay down for you a whole set of criteria that you shall abide by if your webpage is going to be legal. The Law applies to you regardless of your nationality, regardless of where your webpage happens to reside physically (ie. regardless of where the server or the domain of your page are in the world) so long as your principal readership is the Norwegian public. In practice, this will apply to people residing in our country and their webpages, since it is unlikely that you will be prosecuted if you live outside it (even though it theoretically would be possible, reading the new Law). mandating the use of alternative text when you use media (sound, video, or pictures). Apart from making the job of putting a video online much harder, it will also in practice make it impossible to post if the text you now are mandated to include of necessity requires you to use copyrighted lyrics (as in music) which you do not have the rights or the money enough to put online. a whole list of about forty other technical criteria, including amonst other things translation of your content into other languages, that you MUST comply with by Law. So why should you be outraged if you are not already outraged over your freedom of expression being taken from you? Because in my opinion this has nothing to do with accessibility at all. It has to do with money. Already, in the wake of this Law, commercial firms are creeping out of the woodwork with offers to make people’s webpages Law compliant. My belief is they have been in on this all along, and this is just a cynical measure to force us to pay for what we have been doing ourselves for many years. Even worse, there are cases – though I shall leave them for you to find yourself and shall not name anyone here for legal reasons – where the “solutions” you and I now are required by Law to buy if we are going to have a webpage are to all intents and purposes this FREE WORDPRESS PLATFORM. You heard me right. There are certain Norwegian firms now SELLING solutions using WordPress and other platforms that were intended to give you and me FREE publishing on the Internet. In practice, because of the new Law’s strict criteria, what is going to happen is that Norwegians will still have webpages – but they will have to pay a third party for the privilege of using what they previously have used completely free (so the average person can guard against not being in compliance with the Law). If you are a developer of WordPress, you should also be outraged. Can someone explain to me why if I were to try selling Google Earth (as some do), that would be called a SCAM…. but certain Norwegian firms are now using this Law to make money selling WordPress? I beg you to check out what I have written. Every word is true. It is time the world knew about this, and if this isn’t the time to use the “F” word and tell these power sick people where to get off, I don’t know when there is one. I haven’t named any commercial venture here, but if you Google the new Law you will find people offering courses for several thousands of Norwegian Crowns as well as “Internet Packages” for those who want to make personal webpages. Some of these “Internet Packages” are basically barely modified WordPress or Joomla. This Law won’t affect personal blogs, but it will affect all other private webpages you might have – as well as schools, school music bands, football clubs, churches, and any organisation that uses the Internet. All of these, thanks to corporate greed, are now going to have to start paying up if they want to have a webpage in Norway. Dam them. Dam their hypocrisy, because this has nothing to do with their pretended accessibility (if you don’t like my colours or fonts, you can change those in your browser or operative system today). And dam their attack on our freedoms to hell! This post is in response to a writing challenge on The Daily Post. You can see this here http://dailypost.wordpress.com/dp_prompt/only-sixteen. It also marks the first anniversary of Adwick School’s demolition. The post refers exclusively to Adwick School, and (save for the poetic reference to others taking the throne) not to the two institutions that subsequently succeeded it. That last seat of childhood authority is no more. One year on, I still struggle believing it! That our prestigious institution could so unceremoniously fall to the dust beggars belief. For in truth our Emerald Queen was gone long before her ruined courts were razed. And I find that so hard to comprehend. What in my day was revered if though in dread, these days is scarcely remembered save in contempt. Therefore though those buildings be but newly gone, our world therein is much that longer lost. While these ruins of our youth remained, they were defamed by those that came after us. A generation that had not seen the glories of our day, remembered them for other things. I too saw her slow decline, I watched her uniform in decay, and I heard of the infamy of her latter day. I still sighed when others took her throne. It was over then, not years later when the buildings went. My childhood world in ruins. Photo: Gerald Sables. Those that scorn the memory of the Emerald Queen could not have known how once it was, and verily I remember her latter crew. They wore the uniform but as they did please; we were never once given the choice! Yet for all that we rebelled, secretly we admired the place – that final seat of absolute authority over the devices and desires of our own hearts! This is the greatest difference between us and them, and now and then! That it should have ended the way it did feels so unreal. In my day the uniform was not for negotiation, and whatever I said I loved its distinctive colours of green, and white, and black. I said otherwise when I was a pubescent sixteen year old. Like my protestations against wearing a uniform, I celebrated my (so-called) independence the day I finally left – in both cases an attempt to assert myself in the adult world I entered, yet neither were seriously really meant. Then came those after us, and they did mean those things they said. Among them those that said they would willingly press the button, that day our school came down. Then my foolish words came back to haunt me. The Emerald Queen was dead. Alas thou mine emerald queen, whose royal robes were black, and white and green – whose Courts of great austerity were in those fields between, and wast of all with reverence seen, of whomsoever thine had been! Alas! How thou art brought unto the ground, our palace ruined, thy name renowned! and nought is left of all we had: all is gone and where is found, that love, and fear, and awesome dread? Alas, thou art gone, and thou art dead, despised of those who never knew thee then (nor us for whom thou wast our head)! With the stiff competition from Arctic Organist – there you’ll find the “countdown to the midnight sun” – and coming to you further South, Yorkshire Viking Norway cannot hope to beat Arctic Organist on being first. The Arctic Organist will have the midnight sun three days before we do. So Yorkshire Viking Norway is going new ways to be first! We will now tell you that from today there is no more night. This deserves some qualification, since the last twilight you can see tends to disappear at about quarter to nine (this of course will soon be a quarter to ten when we adjust the clocks tonight). However, scientifically speaking the darkest time of our day is no longer night. That is because the sun is never lower than 18° below the horizon. This means that astronomical twilight never ends. For those of you who are scratching your heads, there are three types of twilight. The first is what you get immediately after the sun has set, or just before it rises. This is defined as being the time when the sun is below the horizon, but no lower than 6°. This is called civil twilight. In this time, it is usually possible to continue outdoor activities without the aid of artificial light. Then you have the second type of twilight, which is called nautical twilight, when the sun is somewhere between 6° and 12° below. This type of twilight is what I call the “blue”-type, and in this you do need the aid of artificial light to continue doing things outdoors. Lastly there is the twilight when the sun is lower than 12° but no lower that 18°. The sun’s illumination is almost imperceptible, and unless conditions are optimal you won’t see it at all. Even if you do, it will be no more than a very faint trace on the horizon. So there really wasn’t so much to make then of today’s great happening – other than beating Arctic Organist to the goal. The next landmark in our Arctic year will be on the 13th April. From then on nautical twilight never ends, so perhaps that is the point at which you would notice that it never really gets dark any more (weather can of course still alter this). Finally, before Arctic Organist beats us by three days in getting the midnight sun on the 21st May, from the 2nd May there is nothing more than civil twilight. That is to say that, in practice, it is by then light all day even if it is cloudy as well. In Lødingen, the midnight sun will be visible from the 24th May. Tonight, as pointed out above, we move the clocks an hour ahead for summer time. Remember to change yours before you go to bed! This year I am travelling to Leipzig to hear the Thomanerchor! Newsflash! The Yorkshire Viking Norway is going to Germany! Last year it was unfortunately not possible to carry out the planned holiday, announced in this blog. God willing that will be different this year. Yesterday I was able to buy one of the last tickets to the grand opening of the Bach Festival in Leipzig. I’ll write a little more on the coming German Tour this weekend. In the meantime, I shall be changing my own rules a little. With respect the propria and (school) tie, the propria were designed to spare the latter in order to keep it in good condition. The German Tour will however see both in use. For a variety of personal reasons, it seems very fitting to me to use propria for this particular trip, and for those same it must therefore be even more so to use the real thing for the opening concert itself. Going to Germany is yet another irony in my life history, for those who remember me from my childhood. It is for that reason I mention this here. If you’re one of those, do get in touch! More on this later. Watch this space. Why Does Hardly Anyone Know About SeaMonkey? SeaMonkey is the successor to Netscape. I’ve been using SeaMonkey for two years. I’m amazed there aren’t more of us. Many don’t even know what SeaMonkey is. I’m referring to the browser. Today a lot swear to Chrome, or Safari, and there are even a few who stick with Internet Explorer. It’s not these people who surprise me; it’s those who have chosen Firefox, and specially those who use that with Thunderbird I can’t quite understand. Seamonkey does the work of both! This browser has the same “engine” as both Firefox and Thunderbird. It has the same technology underpinning it. The only difference is that you get everything in one process on your machine! Like the older Netscape, SeaMonkey is a “suite”. Indeed you get an address book, webpage builder, and chat module as well – and it still goes a lot quicker than Firefox in my opinion! There’s something odd about us human beings. We’ll use lots of money on software like Microsoft Office when alternatives like Open Office are just as good, and won’t cost a penny! That said, I have to admit that SeaMonkey could have been promoted a lot better than it has been. Many people have quite simply never heard of it. Nevertheless I strongly want to encourage you to try SeaMonkey. If you’re coming from Firefox, there’s no need to feel uncomfortable with something you’re unfamiliar with: you can actually make SeaMonkey look exactly like your old browser by using a so-called “theme”. So try SeaMonkey now! this post was a translation from today’s post in the sister blog, CQD. Once again the Yorkshire Viking (Norway) blogger and Arctic Organist joined forces. This time it was at Finnsnes Church. We did so for a concert on Saturday 8th February. The first time we co-operated was back in 2012. That was when Jon Blamire, aka Arctic Organist had just arrived in this land. I crossed over from my neck of the woods the scenic way, taking the ferry over from Andenes to meet him. Jon’s blog had already had a profound effect on this one. Indeed had it not been for the arrival of Arctic Organist my English blog, then a separate publication, would have been discontinued; I had begun a Norwegian one the previous year, and had decided to concentrate on that. The (unexpected) competition from Lenvik caused me first to redesign the original blog, experiment with black and white, and finally “wed” it to the Norwegian one as its “twin”. The Yorkshire Viking Norway you read today is therefore largely due to Jon! Then we came together again last August. This time Jon Blamire came to us in Lødingen. The idea was to raise money for our parish, and neither of us took any money for this other than reimbursing the petrol money. Then as this week we put on a concert for our parishioners. Jon changes his shoes while his wife waits! This last weekend was therefore the continuation of that August concert. This time I should visit Finnsnes where Jon works. Once again we took absolutely no money for ourselves, and other than my petrol money all proceeds exclusively went to the parish. So we put together a concert using both the impressive organ and the beautiful grand piano in Finnsnes Church. I started the concert with Haydn’s Piano Sonata in B Flat (HOB XVI:2), and then Jon performed a piece on the organ. He had put the program together such that the piano and organ provided as much variation as the different genres of music we had set up. However, Jon was to remark that he did have the disadvantage of having to change his shoes every time he went to or from the organ. In this respect, I have an advantage, since I have not used shoes for the organ for about twelve years. Lenvik is very fortunate to have found the Blamire family. They produce music of a very high standard, and crucially are convicted of their Christian calling in their work there. I have no doubt at all that my own music making will ultimately prove to be adjusted and improved upon in a similar manner to my blog, as Jon keeps me “on my toes” (if you’ll pardon the pun for an organist who doesn’t use shoes anymore). Bowing to the audience after the concert. I was both delighted – and horrified – to find that he had a piece of technical wizardry that provides a recording of the concert. While the concert was an undiluted success, I was able to hear areas I need to pay more attention to, something I needless to say intend on doing. For the concert, I wore THE tie. That has now become fast tradition. When we also worked together for the Sunday morning service, I replaced it with propria. That is because while I have made the green, white, and black something of my brand, the Adwick tie is irreplaceable: it is in use for concerts and the 24th December only. At a distance, the propria do the same thing on those lesser occasions that I want to do that same thing. I am indebted to Jon and Sarah for their hospitality. They kindly suffered me for the three days I was over there, and in addition to providing me with a bed to sleep in treated me to a wonderful Sunday dinner before I drove back home to Lødingen. For the dessert we had Christmas pudding, which they had made themselves. This was in answer to my post at Christmas. The propria were something I invented back at Huddersfield. I was there as a student between 1988 and 1991. What are propria? Quite simply items of clothing that are not, and as individual items do not represent anything, but which when worn together take on the appearance of uniform. I employed propria when performing at St. Paul’s. For the uninitiated, that is the concert hall belonging to the University of Huddersfield (then the Polytechnic). So I have always liked a bit of “show”. In my concerts in Norway, I have worn the school tie which, until the uniform was officially disused back in 2002 differed from the propria in so much that it individually did represent something. As you have previously seen on Yorkshire Viking Norway, I have also a tradition for using this on Christmas Eve. For a thirty year old item of clothing, the school tie is in incredibly good nick. Indeed I want to keep it so, especially as it is now an irreplaceable relic. Therefore, for the first time since Huddersfield, enter…. propria. This post marks the return to the blog propria, or colour scheme inherited from the disused uniform at Adwick. All entries previously published in colour remain visible for blog members. Ordinary service is now resumed at Yorkshire Viking Norway. The first day the sun showed himself after his two month polar night retreat, he did just that. We had a simultaneous sunrise and sunset. No sooner had we seen him than he had gone again. Now after two days, we have already a significant “day” lasting about one hour, with proper sunshine. The weather has even given us optimal conditions. Everything is moreover lighter now. It is now reasonably light again at nine o’ clock in the morning, even though the sun doesn’t rise until 11 o’clock. It does not become dark again until three o’clock, and it is not fully dark until half past four. So things are going forward! Once again, we depart from the usual colour code, or blog propria in order to show you how beautiful things can be! Finally we get to see the sun in all his glory!